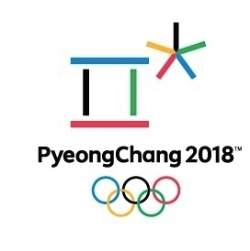 The 23rd Winter Olympic Games started in PyeongChang, South Korea, on February 9 and are going to end on February 25. There are over 2,900 athletes from 92 different nations participating in the Games. The country with the largest team is the United States with 242 athletes. So far, Norway is leading the medal count with 35. You can see the medal count here. These Games have 15 different winter sports that are on either ice or snow. Some sports have names that don’t make it obvious what the sport is about. For example, Nordic combined is a sport involving ski jumping and cross-country skiing, biathlon is a sport involving cross-country skiing and rifle shooting, skeleton is sledding while lying face down, and luge is sledding while lying face up. There have been many memorable moments at these Games so far. Austria’s Markus Schairer had a fall during the men’s snowboard cross competition. He broke his neck, but still got up and finished the race. It was raining Winnie the Pooh toys after Japan’s Yuzuru Hanyu’s stellar figure skating performance. The audience threw a bunch of the stuffed animals at him as Winnie the Pooh is his lucky charm. Mexico’s German Madrazo came last in one of the men’s cross-country races. 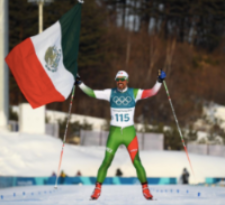 He was beaming at finishing the race and proudly waved Mexico’s flag (image). Some of the other participants carried him on their shoulders to celebrate. The first Winter Olympics were held in Chamonix, France in 1924. They were held every four years and were always in the same year as the Summer Olympics. This was changed after 1992 so that the Winter and Summer Olympic Games were separated by 2 years. The next Winter Olympics will be hosted by Beijing, China, in 2022. 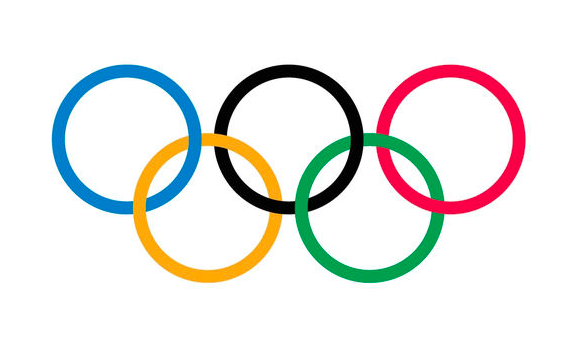 The Olympic flag has a white background with five interlaced rings with different colors – blue, yellow, black, green, and red. The five rings represent the five parts of the world that come together for the Olympics: Africa, the Americas, Asia, Australia, and Europe. 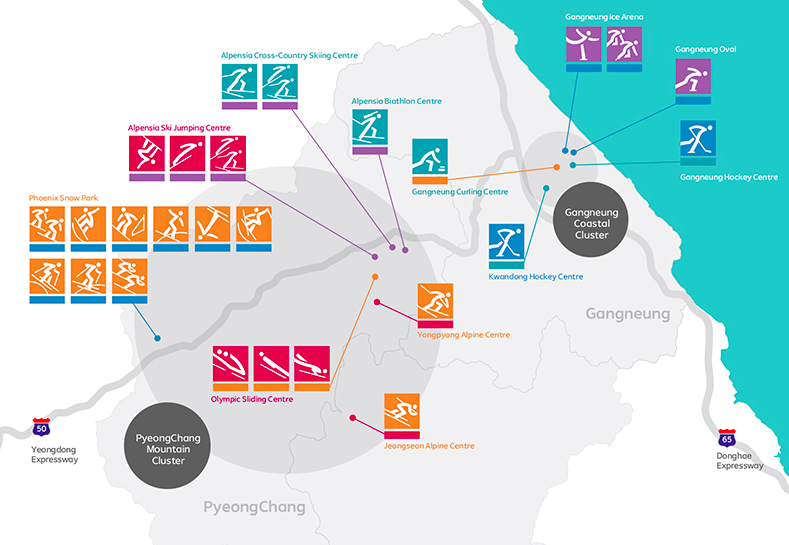 Here is a fun image giving more information about these Olympic Games. Here is a video about the Games.